Some people may say it is not convenient to get the 5X points as it is an AmEx card. But, there is another way to use your AmEx Cobalt Card. You can use it to buy gift cards (including Shell, Amazon, Netflix, Cineplex, Restaurant, iTune, etc) from your local grocery stores where they take AmEx. Therefore, you can get 7.5% return from those shops too. And if there is some 7-Eleven grocery stores (not those 7-Eleven with a gas station. It need to be a separate 7-Eleven to be treated as a grocery store) around your neighborhood, you should go there and have a try. You can buy the $500 prepaid MasterCard from those 7-Eleven (fee $7.95 + tax = around $9). As it is a MasterCard, basically you can use it almost everywhere, even buy Costco Cash Card online. The return rate is: (2545*1.5/100 - 8.99)/508.99 = 5.7% 【if you only value 1 MR Select points as 1¢, then the return rate is (2545*1/100-8.99)/508.99 = 3.2%】 => The numbers here are based on 5X points at eligible grocery stores. If the promo is 10X, please double these numbers. 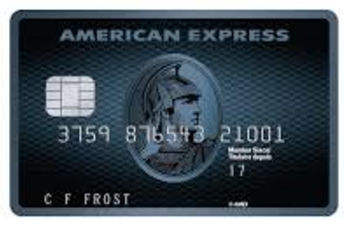 BTW, if you want to apply AmEx Cobalt, please use our referral link below. Thanks.